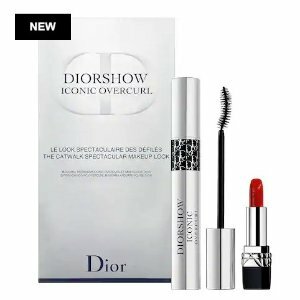 Sephora.com offers the Diorshow Iconic Overcurl Catwalk Spectacular Makeup Look Set for $29.5. Plus, enjoy a trial-size Givenchy Le Rose Perfecto Beautifying Lip Balm in Fearless Pink via coupon code PLUMP . OR, choose a trial size skin hydrator with $25 purchase via coupon code SKINGLOW .